There are a some terrific events that are on this week’s Schroon Laker Weekend Calendar. 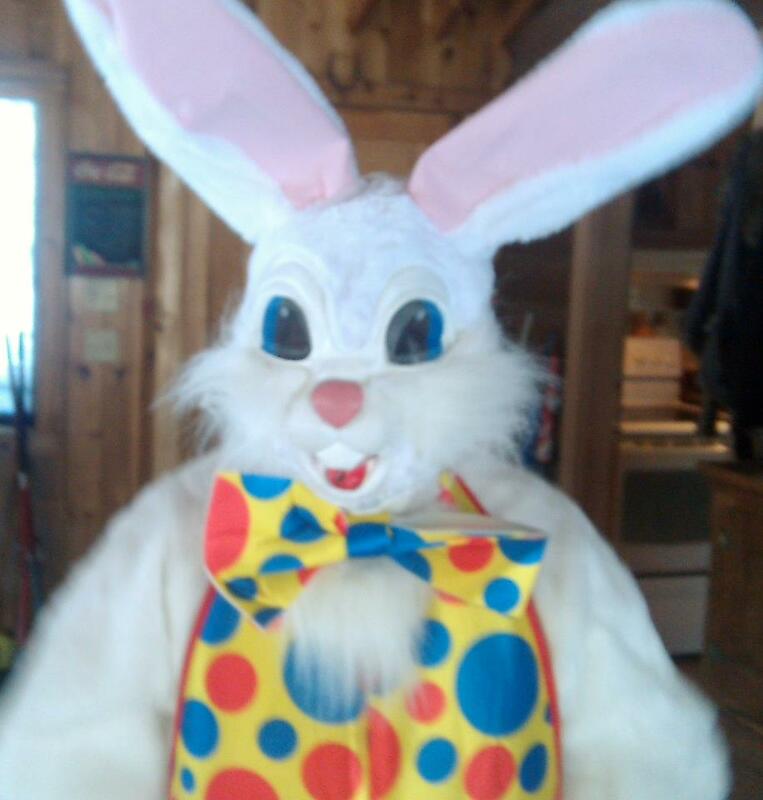 Be on the lookout for the Easter Bunny, who you’ll see at the Grand Union on Saturday and Sunday. Mr Bunny will be selling chocolate likenesses of himself to benefit the Schroon Lake Lions Scholarship Fund. Then there’s a community Cabin Fever Party – with terrific raffles, a silent auction, fun for the kids and music. Oh – and did we mention there are going to be a couple of SURPRISE GUESTS! There will be hearty ziti and sausage dinner served with salad, bread and dessert – with meatless and gluten free options! The bar will be open for business and it’s gonna be a lot of fun. Tickets are $10 for adults and $5 for kids under 12. It all begins begins at 5 pm and goes to 9pm. For more information call the Paradox Store and Café at 518 532-7462. And Saturday, join our favorite Yoga teacher Debbie Philp as she and a few hearty souls set out to run a few miles. The meet up is at her divine True North Yoga Studio at 12.30 pm. And if that sounds a little strenuous, fellow blogger Joe Seiniger will be having a few beverages at Flanagan's Pub, also at 12.30 pm. And don’t forget the Great Upstate Boat Show, in Glens falls, – where Schroon Lake Marina has a big presence with their line-up of new 2012 models and boating accessories. Click here for a $2 discount on your ticket. Got an event you wanna publicize? Tell us in comments.